Thanksgiving is less than a week away, which seems impossible! My dad is flying in on Tuesday to stay the week, and my brother is driving from Portland to spend the holiday with us, which will be really good. Rikki is spending Thanksgiving with her family as well, so we are both looking forward to the family time. We're making my great grandma's famous stuffing and a turkey.....and who knows what else! I still need to menu plan and brave the crowded grocery stores next week while I berate myself for procrastinating. Both of us are focused on staying cozy in our reading lives, and making plans on how we want to finish out the year (eek!). Are you guys traveling for Thanksgiving? And tell me, what's your favorite dish? I need ideas! Also, we're working on a bunch of gift guides and some other posts, so keep an eye out! Books to bring up at the Thanksgiving dinner table to sideline any political conversations *shudder*. Who's in the mood for holiday romance novels? I feel like this is such a classic reading trend of the season! Shelby has great seasonal and moody vibes. 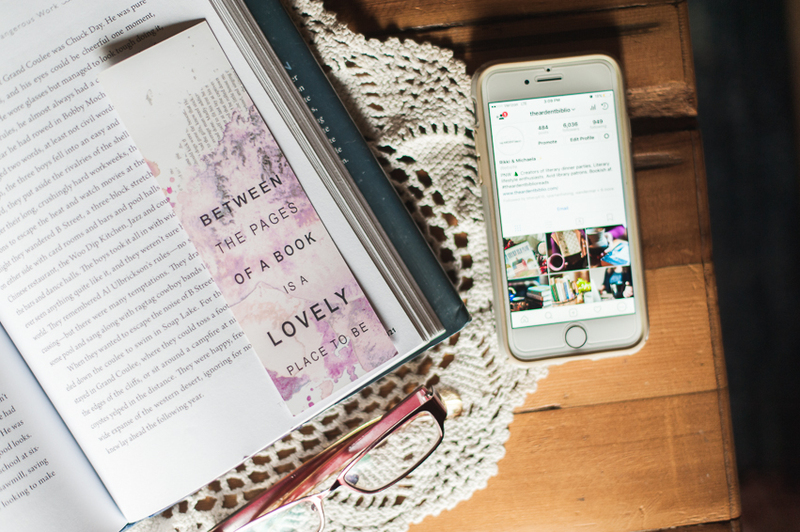 From beautiful views outdoors to the cozy indoors, it goes to show books can go anywhere! In case you need one last dose of fall before we dive into the Christmas season, Polly's got you covered. From books to libraries, we seem to have a lot in common with Desiree. Hey friend!